“The territorial defense headquarters has made a decision. 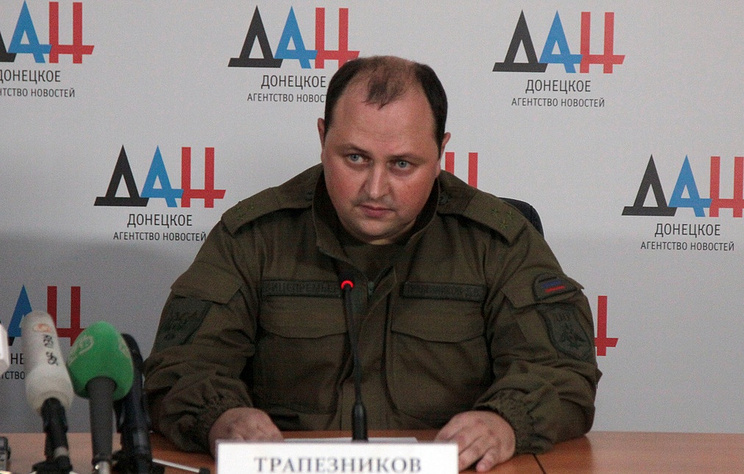 In connection with the tragic death of Alexander Zakharchenko, to vest powers of the DPR head in Trapeznikov Dmitry Viktorovich,” Trapeznikov himself read out the decision after he was introduced to reporters by Speaker of the DPR People’s Council Denis Pushilin. Hey Buddy!, I found this information for you: "Deputy PM Dmitry Trapeznikov becomes interim Donetsk People’s Republic head". Here is the website link: https://russophile.org/deputy-pm-dmitry-trapeznikov-becomes-interim-donetsk-peoples-republic-head/. Thank you.